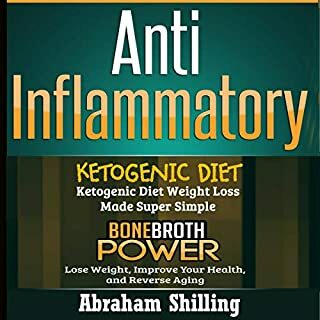 If you’re looking to reduce inflammation, then you’ve come to the right place, as this bundle contains two fabulous audiobooks that will help you do just that: Bone Broth Power and Ketogenic Diet. So look no further as we’re going to be taking a wonderful journey together! Bone Broth Power is an audiobook very dear to myself, because the anti-inflammatory powers of bone broth are nothing short of amazing! 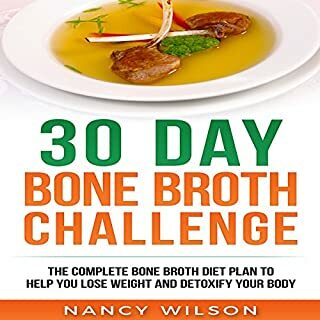 With today's fast-paced lifestyle, avoiding such a dire fate may seem out of the question, but with my book Bone Broth Diet: Lose up to 18 Pounds, Reverse Wrinkles and Improve Your Health in Just 3 Weeks can help place you on the proper path to eating healthier, easier with this truly super food. Bone broth is a crucial component of the paleo diet, a method of eating the way our ancestors did which makes eating healthy a simple affair with no calories to count or strict plans to follow. Naturopathic physician and weight-loss specialist Kellyann Petrucci knows the healing power of bone broth. The cornerstone of her booming health practice (as well as so many family recipes), bone broth is packed with fat-burning, skin-tightening collagen; has anti-inflammatory properties; helps heal the gut; and warms and satisfies the entire body. 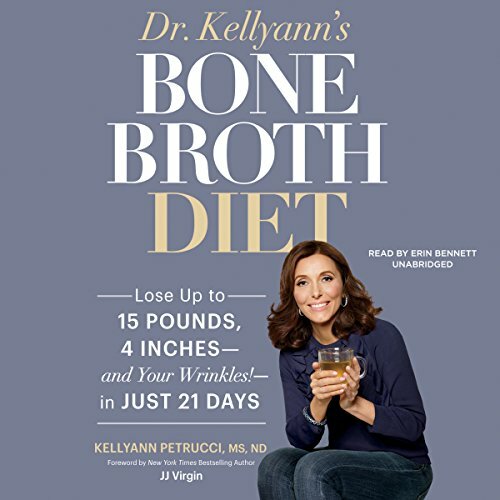 In Dr. Kellyann's Bone Broth Diet, Dr. Petrucci couples delicious bone broth recipes with a groundbreaking intermittent fasting plan, helping you achieve spectacular weight loss and more youthful looking skin in just 21 days. Dr. Petrucci walks you through the science of why bone broth works then arms you with a plan to lose weight safely and easily - with no cravings, weakness, or hunger pains. She'll introduce you to simple but gourmet recipes for beef, turkey, chicken, and fish bone broths and soups that are loaded with flavor and nutrients, and she'll show you easy ways to cut down on time spent in the kitchen. Also incorporating easy resistance training routines and mindfulness meditation exercises, Dr. Petrucci gives you everything you need to succeed. ©2015 Kellyann Petrucci, MS, ND (P)2015 Blackstone Audio, Inc. Yes, I think the audiobooks are an easy way for busy people with any sort of commute to get the information their looking for without taking any additional time from their schedule. This book has a ton of great information. Have you listened to any of Erin Bennett’s other performances before? How does this one compare? I have not listened to any of Ms. Bennett's prior performances. She was easy to understand but a little monotone. The sections of the book that speak to the success of others using the plan are inspirational. 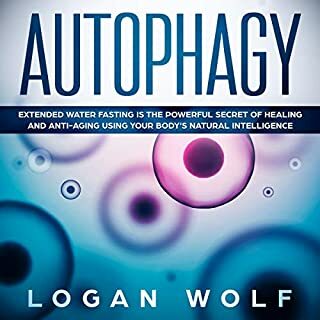 This book has a lot of great information that supports making healthy change in your life whether you need to lose weight, improve gut health, or just want to make some generally healthy changes in your diet. The one draw back is that there are a ton of recipes in the book that I didn't need to have "read" to me. I think it would have been best to provide a supplemental download containing those recipes and just skip reading them. 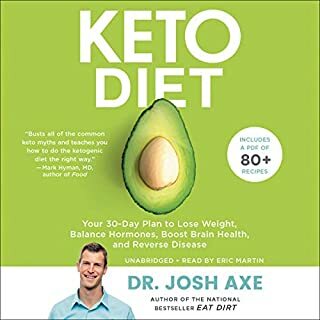 Where does Dr. Kellyann's Bone Broth Diet rank among all the audiobooks you’ve listened to so far? Love the information, it's very intriguing and I am definitely going to try it out. Nope, but I would like to! Where is the PDF? How was this oversight made? A glaring problem to an otherwise great audiobook! Good Wholesome Nutrition Made Easy - at long last! Would you listen to Dr. Kellyann's Bone Broth Diet again? Why? I made the audible purchase about two weeks ago and already I have listened to it 3 times. Yes, I will listen to it again and again because it is filled to the brim with both scientific and practical information. One week later, I purchased a hard cover copy and downloaded a copy to my android and my cloud reader. Never before have I made so many purchases of the same book! I am making good use of each version, daily. I wanted more copies to give as Christmas presents, but found it to be sold out in stores and there was no time for a mail order. What other book might you compare Dr. Kellyann's Bone Broth Diet to and why? 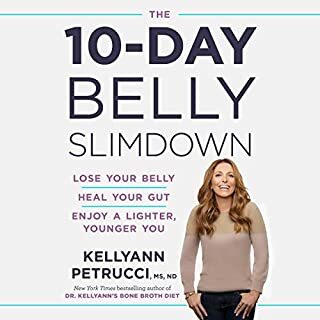 In my opinion, Dr. Kellyann's book is one of a kind; amazing story, intelligently packed with science and good sense, honest, easy to understand nutritional and life style suggestions. Yes, but needed to brake it up due to my personal responsibilities. I love her recipes and am delighted to have learned the scientific scoop about bone broth. All my life, I have loved sipping bone broth by the very large spoon full (while cooking, of course!). When I was a teen, my mother warmed me that bone broth was "very fattening" resulting in my developing a habit of carefully sneaking a spoon full or two, until I learned to disguise it in a tea cup! Since reading Dr. Kellyann's bone broth book, I can now drink it by the tea cup guilt free. Thank you Dr. Kellyann! Nugget of gold for our family! What did you like best about Dr. Kellyann's Bone Broth Diet? What did you like least? What was most disappointing about Dr. Kellyann Petrucci MS ND’s story? Would you listen to another book narrated by Erin Bennett? Was Dr. Kellyann's Bone Broth Diet worth the listening time? Where is the supplemental pdf? But the audiobook helped me listen and re listen the bookmarks,when the time on this diet program got tough, without a doubt this book is not just about losing weight but about understanding are modern relationship with food, and our moods and hormones, I have achieved My goals with this book and I would certainly recommended to others trying to do the same. I also really like the narrator she was very good as well easy to listen too. Very detailed about the bone broth. And look at it as a learning tool, and not a diet! 5 stars for content. The narrator was good, she spoke very clear amd was easy to listen to. 1 star off because it needed a download for the recipes, it's awkward to listen to the recipes without having a visual and I'm not about to transcript them. Also some parts are repetitive. 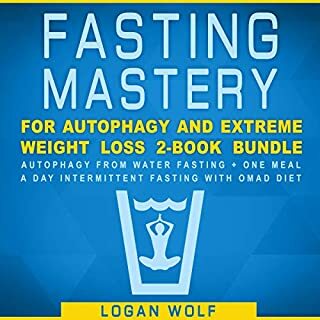 Overall I loved this book, it's very inspirational and I loved that she talks about the mental and emotional aspect of losing weight and it's connection to your overall health. I would definitely recommend this book to anyone who wants to not just lose weight but keep it off and be healthier haplier person. Learned very little... she just rattles off lists and lists of cooking lists for broth. Total waste of money and time.